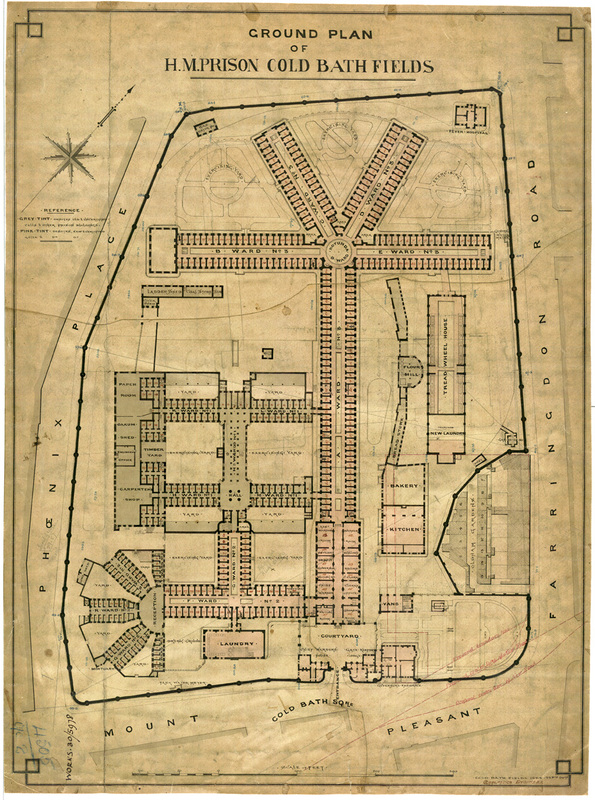 The grey shading shows old buildings, the pink shows building which was new in 1884, increasing the capacity of the prison to 1,000 prisoners. 1. Look at Source 1. Coldbath Fields Prison was named after a well nearby. It was an old prison, re-built in 1794, holding men, women and children. In 1850 it was changed to take men only and extended again. It was known as a tough prison, used for local London criminals on short sentences. Imagine you are a warder standing at the centre of the Rotunda of the new prison. How many cells can you see from your position?